Many countries around the world rely on farming and agriculture not only for their own food supply, but also as an important economic contributor. Unfortunately, these industries are highly-dependant on climate and are likely to be seriously affected if increasing atmospheric concentrations of CO2 and warming of the climate system continue without intervention. Anticipated changes in frequency and severity of extreme weather events, projected increases in temperature, and rapid population growth mean food security and availability are likely to be key issues in the not too distant future. But how might anticipated climate changes impact the livestock and agricultural industries? The effect of increased temperature on crops can vary depending the type of crop and environmental conditions such as water availability. Some yields can increase with warmer weather, if the temperature corresponds to the plant’s optimal range for growth and reproduction. However, if temperatures exceed this range for a particular crop, harvest yields are reduced. Action may need to be taken by switching to crops that prefer a warmer climate for that area. Likewise, increased CO2 levels in the atmosphere may help some plants grow faster, but also reduces the nutritional value of many crops by decreasing the amount of protein and essential minerals. Changes in the frequency and severity of extreme weather events, such as floods and droughts, could have significant and devastating impacts on future harvests. These events are not only damaging to crops and reduce overall yields but can also affect soil moisture and nutrient levels. Decreased water supply under drought conditions is also cause for concern, as warmer average temperatures will increase the need for irrigation. The knock-on effect of these changes to crop yields and supply may be felt in many other industries, from road and rail transport companies to commercial grain storage facilities (like the Wimmera Mallee’s Nhill Bulk Handling site). Both local food and export markets may also be affected, potentially disrupting food availability and costing businesses and countries significant revenue. Climate change effects on livestock have the potential to affect the animals both directly and indirectly. 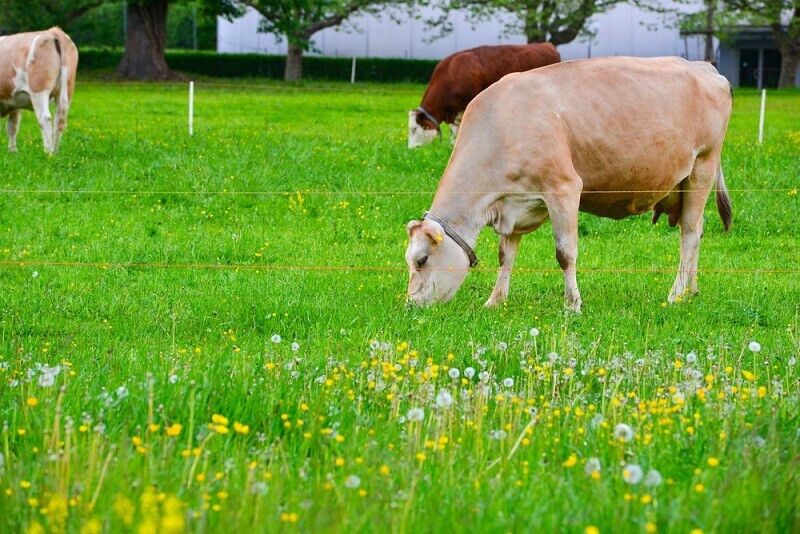 Any change in crops and pastures will have an impact on commercial animal farming; plants may grow prolifically under increased CO2 conditions, yet the reduced nutritional value means livestock will need to consume more to meet dietary requirements. Extreme temperature events, such as droughts and heat waves will also threaten food availability for livestock. Heat stress over extended periods can lead to reduced milk production and fertility in animals, and increased vulnerability to disease. Warmer winters and earlier springs may also see enhanced conditions for parasites and microbes that cause disease in livestock, increasing the need for treatment and preventative measures. The effects of climate change on the agricultural and livestock industries have the potential to threaten food supply and security at both local and global levels. To help reduce these impacts, there needs to be an increase in the awareness and responsibility of individuals and nations in preventing the progression of climate change. Combining these measures with possible changes to farming practices and technology may see these important industries remain productive into the future and help to secure food supply for generations to come.